1,2,3,4 University of Rome "Tor Vergata", Department of Enterprise Engineering, Operations Management Research Group. Via del Politecnico 1,00133 Rome, Italy. Phone: +39 06 72597216. E-mail: 2valerio.de.simone@uniroma2.it (Corresponding author). Startup businesses have always played an important role in the global economy, but recently their importance has grown significantly. For this reason, governments around the world have amended regulation and created incentives to encourage their development. However, statistics show that startups have an extremely high mortality rate, often due to a lack of strategic planning, wrong marketing investments or inefficient resource allocation. The purpose of this paper is to propose a decision-driven tool which will enable the creation of a successful promotional strategy. The proposed strategy is a three-stage process allowing startups to gradually eliminate non-optimal advertising formats. The first stage focuses on the analysis of the e-market where the startup operates. The second stage is dedicated to the economic environment that the new company will face relative to its available resources. Its aim is to reject overly expensive advertising formats by linking costs to availability of funds. 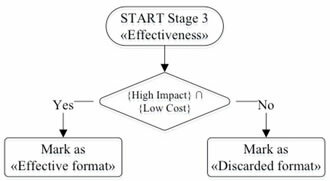 The third and last stage is a cost effectiveness analysis, allowing the entrepreneur to identify the best advertising formats and using an impact-factor as a proxy of effectiveness. The proposed methodology has been applied to the case of an Italian early-stage startup for validation. Keywords: start-up; promotional strategy; marketing; advertising formats. - In Europe, the startup ecosystem is growing (Herrmann, Marmer, Dogrultan, & Holtschke, 2012) with Berlin, London and Paris home to significant numbers of startups (Cerati, et al., 2012). In 2012 London was the top ranked city in Europe in terms of capital raised per startups, averaging $1.15M dollars per venture. London also had the highest percentage of serial entrepreneurs (42%). Despite these figures, European cities are still way behind Silicon Valley where the average capital raised per startup is $3M and 56% of entrepreneurs are serial entrepreneurs - figures which have shown significant growth year on year. - 80% by the tenth year. There are several reasons new companies find it difficult just staying in business, with the ability to raise capital cited as the primary cause of failure, followed by bureaucracy and strong competition (Schwienbacher & Larralde, 2010; Wong, Bhatia, & Freeman, 2010; Kortum & Lerner, 2000; Sohl & Rosenberg, 2003; Magri, 2009). In fact company's growth (and survival) is highly correlated with the ability to raise new funds, but only startups with a large potential market and remarkable KPIs (e.g. number of daily users, transactions) are attractive for investors (Wong, Bhatia, & Freeman, 2010; Schwienbacher & Larralde, 2010). Furthermore many other aspects impact on the fund rising capabilities: intellectual capital (Alberghini, Cricelli, & Grimaldi, 2013; Steenkamp & Kashyap, 2010; Tan, Plowman, & Hancock,2008; Zerenler, Hasiloglu, & Sezgin,2008), entrepreneur experiences (Lasch, Le Roy, & Yami, 2007; Song, Bijl van der, & Halman, 2008) and innovation (Groenewegen & de Langen, 2012; Maldonado, Dias, & Varvakis, 2009) are all key drivers as well as their promotion capabilities (Magri, 2009) . Indeed, to raise new capital, a startup has to increase its visibility within the investor market, hence having the correct advertising strategy is critical. Ben Silbermann, CEO of Pinterest - the third social-network in the world by active-users - stressed that "...the secret behind Pinterest's growth was marketing, not engineering...". The aim of this paper is to provide entrepreneurs with a new approach to identify the most appropriate promotion activities, thereby increasing the likelihood of their own startup's survival. As previously stated, promotion and marketing in general is widely considered as the key to survival, development and success of small or new ventures (Bjerke & Hultman, 2004; Carson, Cromie, McGowan, & Hill, 1995; Lewrick, Omar, & Williams, Jr., 2011) and a number of studies have been conducted which focus on its importance. Despite the wealth of literature on this topic and the criticality of a good marketing strategy, enterprises often diverge from textbook guidelines (McGrath, Tsai, Venkataraman, & MacMillan, 1996). Up until the 90s it was widely assumed that small or new ventures required a simplified version of the more "sophisticated" marketing practices that were developed for larger companies (Kraus, Harms, & Fink, 2010) . To this extent, the "entrepreneurial marketing" (EM) concept was introduced: Bjerke (Bjerke & Hultman, 2004) defines EM as "marketing of small firms growing through entrepreneurship", similarly Morris (Morris, Schindehutte, & LaForge, 2002) as "the unplanned, non-linear, visionary marketing actions of the entrepreneur" and Stokes (Stokes, 2002) as "marketing carried out by entrepreneurs or owner-managers of entrepreneurial ventures". Finally Kraus (Kraus, Harms, & Fink, 2010) suggests a definition focused on a marketing and entrepreneur concept, defining EM as "an organizational function and a set of processes for creating, communicating and delivering value to customers and for managing customer relationships in ways that benefit the organization and its stakeholders, and that is characterized by innovativeness, risk-taking, proactiveness, and may be performed without resources currently controlled.". Moving to more practical aspects, today the three best-known forms of EM are buzz marketing, guerrilla marketing and viral marketing (Kraus, Harms, & Fink, 2010). - Viral marketing: This term describes a form of marketing that uses social networks (family, friends, neighbors, colleagues) to draw attention to brands, products or campaigns by spreading messages as quickly as a virus (Phelps, Lewis, Mobilio, Perry, & Raman, 2004). It is important to note that both Buzz and Viral marketing can be considered forms of word-of mouth marketing, but viral is the impersonal (lacking face-to-face communication), technology-backed version of buzz marketing (Mohr & Spekman, 1994). More recent approaches to viral marketing suggest a hybrid model that uses traditional media to seed the early-stages of campaigns. Nonetheless the success of the campaign relies heavily on social-sharing capabilities of social networks (Watts & Peretti, 2007). A classic example of effective viral marketing is Hotmail.com's "Get your private, free email at http://www.hotmail.com" campaign which reached 12 million users in less than 18 months (Porter & Golan, 20120). The main advantage of each of the approaches discussed is the extraordinarily low cost of implementation through the use of new, inexpensive communication channels, i.e.the internet and email (D obele, Toleman, & Beverland, 2005; Zilber & Braz de Araújo, 2012). These features make EM ideal for startups. As mentioned above, one of the objectives of this paper is to understand the optimal advertising strategy for startup visibility and operational KPIs to allow higher possibility to raise new capitals and succeed. 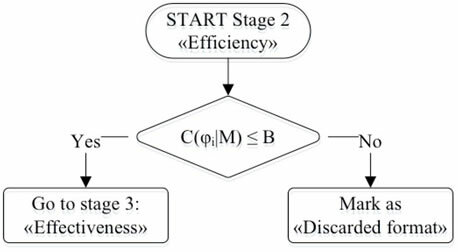 The paper is organized as follows: the three-stage model explanation and formalization is presented in section 2, while section 3 shows a practical application of the model, analyzing an early-stage ICT startup, operating in Italy. Finally, section 4 includes conclusions, limitations and future developments of this research. 1. Feasibility: given the market context, focus only on the adaptable formats (e.g. avoid choosing a channel which is too technologically advanced for country in question). 2. Efficiency: given the startup's resources, select the most affordable promotional formats. 3. Effectiveness:choose the best advertisement system from the most feasible and affordable options, analyzing the effectiveness as the ratio between impact and costs. Figure 1. Three-stage evaluation model. - Skills sub-index: This sub-index captures ICT capability or skills as an indispensable input indicator. It includes three proxy indicators: adult literacy, gross secondary enrolment and gross tertiary enrolment. Seeing that it is made up of proxies, its weight in the computation of the IDIC is lower than that given to theother two sub-indices. Information Society 2012, ITU (International Telecommunication Union, 2012). In order to develop this analysis it is essential to have two indices: an indicator of ICT capabilities and an advertising format score for measuring technological development. Both are necessary to find the right match between the format and the consumer and avoid unsuitable channels for target users. Table 2 lists most common advertising formats (Nielsen, 2011) (PricewaterhouseCoopers LLP, 2011) and introduces a new index, called IDIF, that measures the technological evolution of the advertising formats. 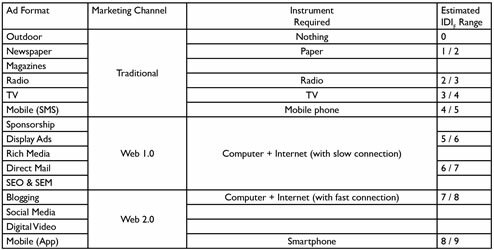 To maintain the analogy with IDIC, IDIF assumes a value between 1 and 10 and is proportional to IT evolution.Authors assigned a specific IDIF value to the formats in the first column, after first grouping them by marketing channel (traditional, web 1.0, web 2.0) and then by instrument required (mobile phone, TV, etc. ), sorting each "cluster" with respect to the instrument's level of technological evolution. For example the "Traditional, TV" cluster has a higher IDIF value than "Traditional, newspaper", which uses print. Table 2. Advertising format ordered by IDIF value. In the first stage we compare IDIC and IDIF in order to filter out advertising formats that have IDIC lower than IDIF. In particular, context is defined with respect to the market served by the startup, referring to its characteristics in terms of ICT knowledge and not necessarily to its geographical and technological boundaries. The underlying hypothesis is that not having a computer is a sufficient condition to not use internet but, at the same time, having a computer is only a necessary condition to use the internet. Therefore a format with IDIF lower than IDIC can still be exploitable for the marketer, unlike than formats with higher IDIF. IDIC values are calculated and published every year by ITU; nevertheless a short reflection could be necessary. The aforementioned document reports IDIC values related to the entire nation, so they are derived from the average between high-developed regions and low-developed ones. National heterogeneity is an important element in choosing advertising formats. In fact two startups operating in the same nation could supply totally different markets, characterized by deep differences in terms of ICT usage and development. For this reason the startup can revise and eventually rectify the national IDIC value in order to make it more specific for the region where the startup is operating. It is reasonable to assume that metropolitan areas are characterized by an IDIC which is higher than the IDIC of the nation, while the opposite can be assumed for rural areas (International Telecommunication Union, 2012). Furthermore, by using the IDIC value, there is a clear need to decline promotional strategy for the specific target market. In order to create an analytic model of the first stage described above, a simple if-function can be used (described in Figure 2) where φi indicates the generic advertising format and IDIF and IDIC are as described in the previous paragraph. Figure 2. 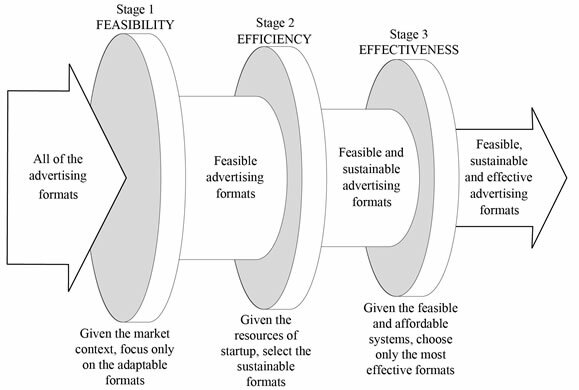 Stage 1 « Feasibility » flowchart. The second stage focuses on the cost trade-off analysis. Similar advertising formats may have very different costs, for example digital video advertising (e.g. advertising on YouTube or Vimeo) is much cheaper than video of the same length on TV, which, on the other hand, has a higher conversion-rate and credibility (Johnson & Kaye, 2002). Many times the economic aspect can be binding constrain in a startup because entrepreneurs could not choose expensive formats. Defining what "binding" means could be complicated, because each startup has different resources to invest in promotion and thus indicating an absolute amount to invest is obviously impossible. Having said that, different theories agree in defining promotion investment as a constant-percentage of a firm's available resources and all of them identify an average investment ranges between 5% and 15% (Beesley, 2012; Christine, 2013). Other evidence, however, shows that this value can be as high as 30% in early-stage startups. Promotional investments in the above range should be considered more as an indication than a rule. In fact each specific entrepreneur will decide their optimal investment depending on conditions at the time, conditions which are very complex to include into a mathematical model because of the very high number of variables involved. Referring to a startup's balance sheet, "available resources" can reasonably translate in "equity" and "liability". Profit or cash-flow are not usually used as these values are usually negative for most early-stage startups. format φi with dimension M.
Figure 3. Stage 2 « Efficiency » flowchart. The last stage of the approach is different from the previous two because now, all the formats are considered suitable in stage one and two, are sorted by effectiveness. This effectiveness is computed as a ratio: impact / costs. The overall cost of each format is not difficult to identify and it has already been calculated in the previous stage (i.e. C(φi | M) for each format φi). The difficulty is in understanding and measuring the impact of an advertising format, since the same format could have different impacts depending on the business where it is applied. Table 3 provides a simple framework to classify startups based on two metrics: application-type and purpose-type. Table 3. Startup classification for application and purpose. - Generic desktop: startup develops software for computer (desktop), oriented to a mass market (generic). Formula (1) suggests that effectiveness depends directly on impact, but this value is closely connected to the startups classification reported in Table 3. Combining advertising formats list proposed in Table 2 and startups classification proposed in Table 3, it is possible to obtain the following Table 4. This table can be used by startups to evaluate effectiveness of advertising formats and to adjust format for specific startup types, putting a higher importance to formats with sign "+". Table 4. Advertising format impact corrector-factor for each cluster of startups. In the following Figure 4, as done for the previous stages, the flowchart of "effectiveness stage" is shown. Figure 4. Stage 3 « Effectiveness » flowchart. Figure 5 shows the full flowchart of the approach, built by combining the flow chart of each stage detailed above. To obtain the complete set of "effective formats", the process has to be iterated for each format under consideration. As one may observed, despite the process is made up of three different sub-processes it is simple and lean, from both a logical and pragmatic side. Figure 5. Three-stage-approach full flowchart. In order to highlight the applicability of this three-stage model, we now analyze the case-study of an Italian startup set up in September 2013. The aim of this startup is to exploit new mobile technologies in order to facilitate the creation of a new contingent work market. In order to apply the three-stage approach we need just two pieces of information about the startup: business activity classification and resource availability. 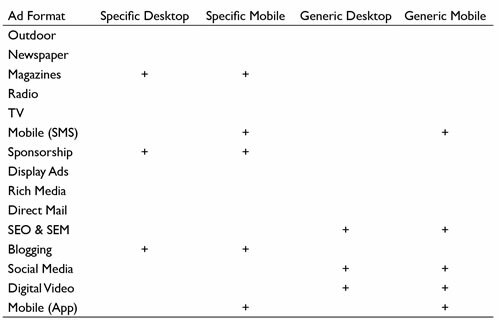 The first one can be obtained from the small description above and, using matrix reported into Table 3, the startup can be classified as "generic mobile". In fact it can be classified as "generic purpose" because its market is mainly composed of contingency workers, so it is not related to a specific work class. Moreover it operates in e-business through web community and cross-platform mobile app, so it can be classified as "web & mobile application". The second piece of information can be obtained from the startup's income statement and balance sheet. In this case we are analyzing an early-stage startup so level of funding will be higher than equity. Values presented in Table 5 are extracted from the balance sheet (indicating with 100% the total availabilities). Table 5. Balance sheet highlights. According to the model introduced above, 20% of the firm's available funds should be allocated to advertising. Traditional literature (Beesley, 2012; Christine, 2013) however puts this figure at around 10% for early stage startups, which may be underestimating the optimum amount needed for their advertising strategy to be successful. Finally, the startup market is concentrated in the city of Rome that is one of the most developed ICT areas of the nation. For this reason, in accordance with paragraph 2, IDIC has been increased to 7.5, versus the Italian average of 6.28 (International Telecommunication Union, 2012). - IDIC corrected value, 7.5. The first stage looks at the comparison between IDIC and IDIF. Using an IDI-C of 7,5, the "Mobile (App)" format (IDIF of 8) can be discarded. Between advertising formats classified as "Mobile (App)", in-app advertising (or the practice of including banner ads within apps for smartphones) is surely the most common. Additionally, other techniques such as in-game advertising, push notifications or location-based services, can be exploited on a mobile device, such as a smartphone (Leppaniemi & Karjaluoto, 2005). 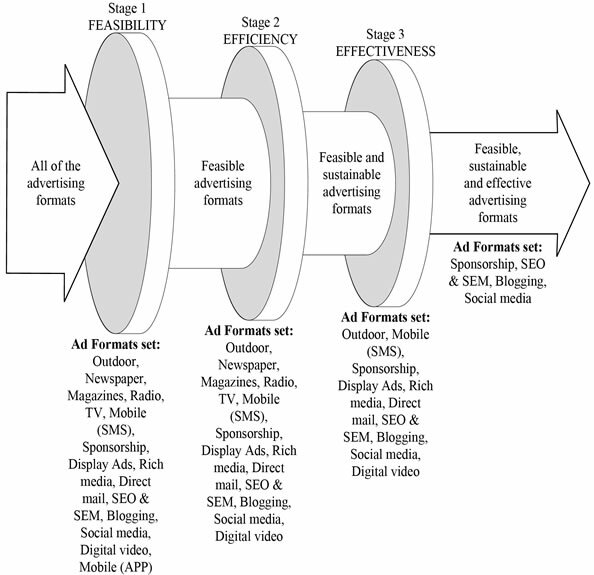 - Formats suitable after "Feasibility stage": outdoor, newspaper, magazines, radio, TV, Mobile (SMS), sponsorship, display ads, rich media, direct mail, SEO & SEM, blogging, social media, digital media. The second stage focuses on the cost of advertising formats. According to the advertising budget (B) previously calculated, print-related formats (papers and magazines), radio and TV can be discarded. Therefore remaining formats have been evaluated as sustainable formats. - Formats suitable after "Feasibility stage": outdoor, Mobile (SMS), sponsorship, display ads, rich media, direct mail, SEO & SEM, blogging, social media, digital media. Finally the third and last stage analyzes the effectiveness of advertising formats by examining the ratio between impact and cost. This evaluation is based on the startup classification outlined in Table 3. In this case, the startup can be categorized as "generic mobile". Using Table 4, social media and mobile are considered to be the most important advertising formats. However the second one has been discarded in the first stage and therefore will not be considered below. In line with these considerations it is possible to build the effectiveness matrix, reported in Table 6. Table 6. Startup effectiveness matrix. The effectiveness matrix shown above suggests that the majority of the advertising budget should be invested in "blogging" (for example, to build an effective website layout / design and maintain up-to-date content) and "social media", supported by a SEO & SEM campaign to ensure high visibility. At the same time, sponsorship activities may represent an important and effective choice to supply "off-line users". All the other advertising formats, except "outdoor", have been classified as "low impact": this choice is also supported by Nielsen quarterly report on advertising formats (Nielsen, 2011). Outdoor advertising, instead, results as "highly expensive" because this type of format has a very high cost per impression. Evaluation model results are listed stage-by-stage in Figure 6. Figure 6. 3-stage-approach practical application. Stage-by-stage evolution and results. The startup started its promotion activities before this analysis by trying out many different advertising formats in order to identify the best combination of them. Evidencesshow that offline formats such as newspapers, flyers and direct marketing are less effective than online formats with respect to the cost/benefits ratio. Best results were achieved through online formats because of their lower cost and their capability to engage users while they are using a computer or a smartphone, allowing them to try the service on offer. These findings match perfectly with the strategy proposed by this study and thus, the startup has recently decided to invest in SEO & SEM and social media. The study proposes an innovative model to evaluate and choose the best advertising format for startups based on a review of existing literature about entrepreneurial and PMI marketing, and most used promotional approaches. It highlights the importance of these elements for a startup in order to both reach its intended market and also to invest its resources on the most efficient advertising formats. A three-stage process has been developed to help startups decide on the most effective advertising strategy. The model is based on an assumption, supported by literature, that promotion is mainly influenced by two factors: ICT context evolution and advertising format cost. 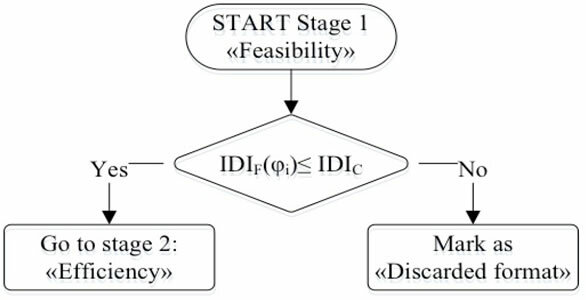 The first stage evaluates ICT context evolution using the IDIC index. It is an index created by ITU that measures digital divide, taking into account both people skills using ICT instruments. In the second stage, advertising cost is analyzed. In contrast to the first stage, cost evaluation does not need a specific index. In fact it can be directly measured by the entrepreneur: fixed costs of advertising can be inferred through a market analysis, while variable cost (linked to metrics as cost-per-impression or pay-per-click) can be obtained from the startup's business plan. 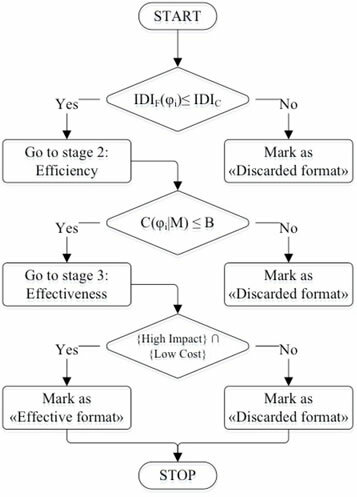 The last stage of the process evaluates the effectiveness of different formats, and considers the ratio between impact and costs. The assumptions supported by literature, as outlined before, and the quantitative approach of each stage, make the model easy to use in any context (i.e. different context, business, etc.). Finally, the model was tested on a real life example, an ICT startup operating in Italy. The case study validated the simplicity of the model and its effectiveness. In fact, the three-stage process implementation suggests that the company should focus on social channels, which are a conventional choice for startups operating in e-business. - The second one concerns IDIC which is calculated based on national stats, not taking into consideration the differences between different areas of the same nation. Indeed a corrective factor has been used in the presented case study. Despite formula to calculate IDIC has been reported in Table 1, it could turn out to be complicated to compute for a specific region, and in fact in the paper it is suggested a manual adjustment based on the national value. In order to overcome this limitation future research could be oriented to develop a new formula to adjust IDIC for specific and smaller areas, characterized by a greater behavioral and technological homogeneity.